Product #16566 | SKU ST3D016 | 0.0 (no ratings yet) Thanks for your rating! 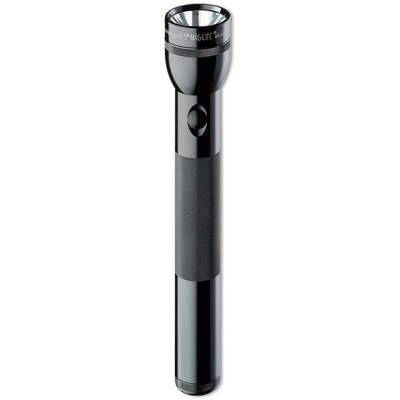 Featuring Maglite 's signature spot-to-beam twist head and sturdy, O-ring sealed aluminium housing, the LED 3-Cell D Flashlight offers a bright 168-lumen output and an efficient 80-hour runtime. Push-button switching allows momentary and constant-on activation. The light is powered by three user-supplied D-cell batteries. This item ships from the manufacturer in clamshell packaging.